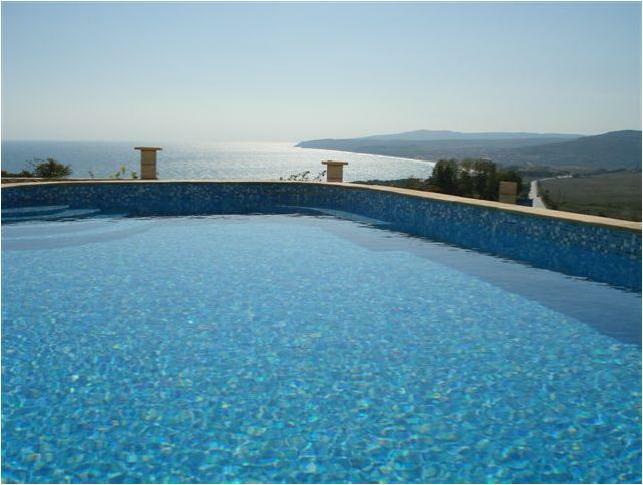 This hillside rental Villa offers one of the most spectacular views over the holiday resorts of Albena, Kranevo and towards the Black sea. This well appointed rental accommodation has been newly built and can accommodate large families, offering spacious accommodation with all modern conveniences to help you enjoy your holiday, including a private garage. It is a very bright and airy house and offers the following, living room, excellent modern fully fitted kitchen (including fridge-freezer, dishwasher, oven, hob and washing machine), also within the kitchen is a dining area. There are 2 double bedrooms, 1 twin bedroom and 2 bathrooms. The Master Bedroom is probably one of the best rooms in this rental villa not just because it has an en-suite, but the fact it has large beautiful windows over looking the unspoilt views. General Kantardzievo is a large village which is mainly based on the side of a mountain, giving it the spectacular views. Within the village are a few restaurants and a small shop allowing you to collect all your necessary groceries. Due to the location of General Kantardzievo we would recommend that you rent a car, in order for you to get around and enjoy the scenery. 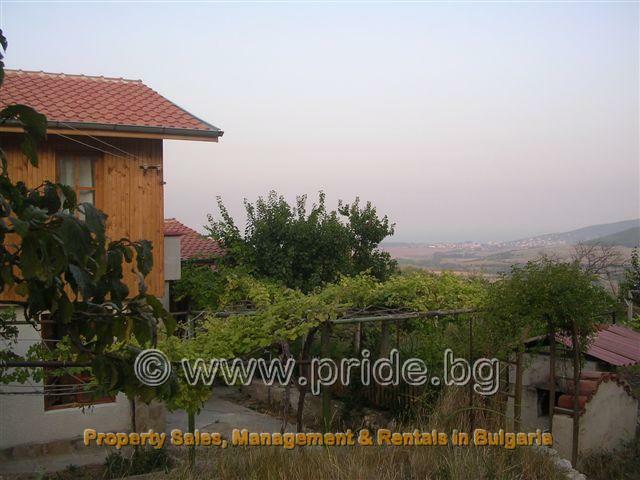 This rental accommodation is located 10km (6.5 miles) from Albena and 20km(12.5miles) from Varna. This property is perfect for couples and families with younger children. Please note this is a no smoking villa and there may be restrictions on bookings from other types of groups.